beautiful. beautiful. : Never too much blue. There is never too much Colt's blue floating around this house....especially during the playoffs! I surely hope that Hope wearing this cheer leading outfit brings as much good luck as it did six years ago when big sister wore it. 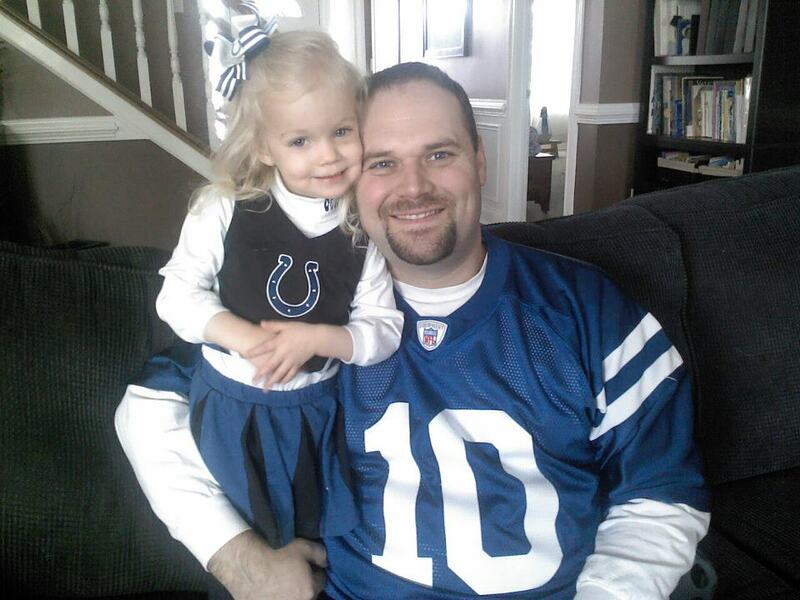 Emma cheered on the Colts as they won the Superbowl in 2007!